Released almost four years to the day after Washarama and following an eighteen month hiatus, The Judy’s Moo album has a slightly more progressive sound: richer production values, fuller arrangements and thicker harmonies. As the band returned to the stage in 1985, this was the album that showed the band’s maturity and development as songwriters and musicians. 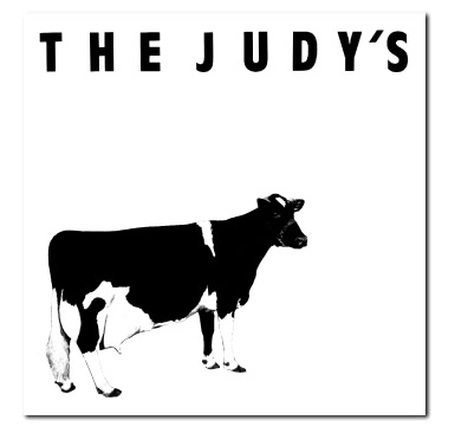 The twelve songs on Moo, laced with solid-state irony, well-placed cynicism and standard issue Judys’ wit, show the band at the peak of their creativity and acted as a springboard for their live extravaganzas. The album was released with The Moo Tour - a month of live performances across the state which included giant cereal boxes, moving conveyer belts of milk cartons, and a dancing cow while the band donned milkman uniforms. Critically acclaimed and fan-revered, The Moo Album continues to be a milestone in Texas pop music. Available on limited vinyl and the new CD reissue.